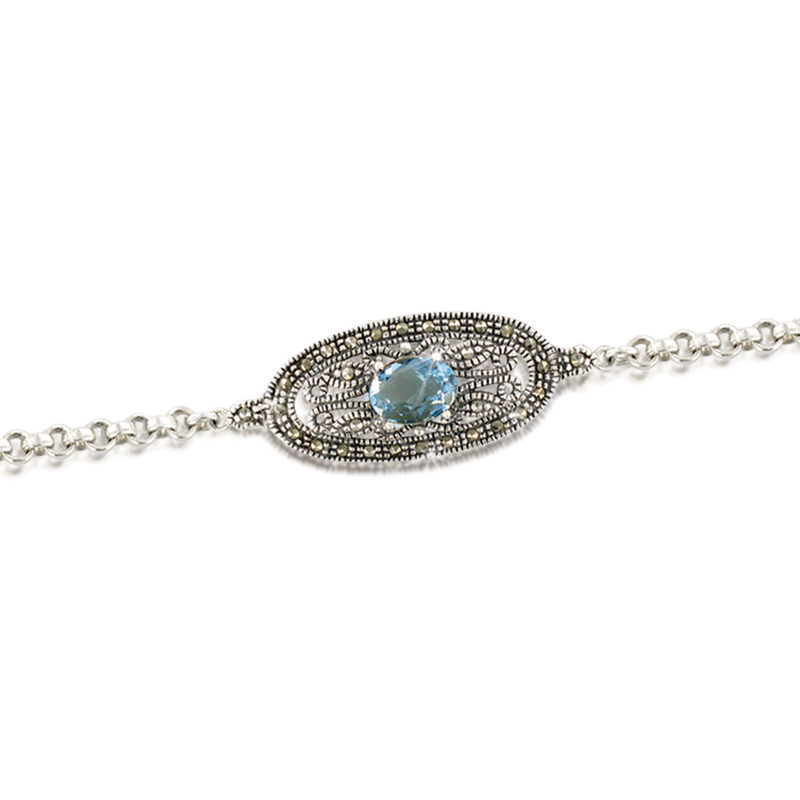 A unique shape to enhance any wrist, this marcasite-bejewelled oval blue topaz bracelet whispers intricate style. Sterling silver setting. Rolo chain with lobster-claw closure.